Nyungwe Top view hill hotel is the elegant place; a heaven on earth, idyllically situated on top of one of the hills of Nyungwe forest area; the largest single forest block in East Africa and the biggest water reservoir for Rwanda. 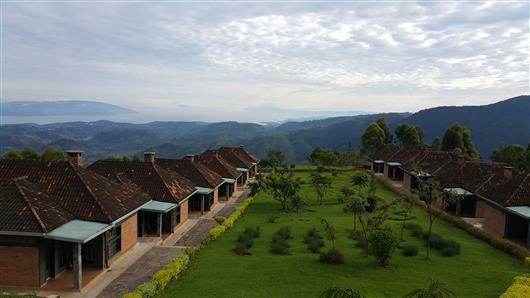 Nyungwe Top view hill hotel offers most beautiful and tranquil accommodation facility comprises of 12 self contained with 4 twin and 8 queen size bed apartments having a sitting room with a fire place to warm you up and a balcony with picturesque view of sunrise or sunset from all the rooms including incomparable view of part of the Nyungwe National Park, Kahuzi Biega National Park, Tea plantations, Lake Kivu, the volcanoes and Idjwi Island right from the top of the hill. 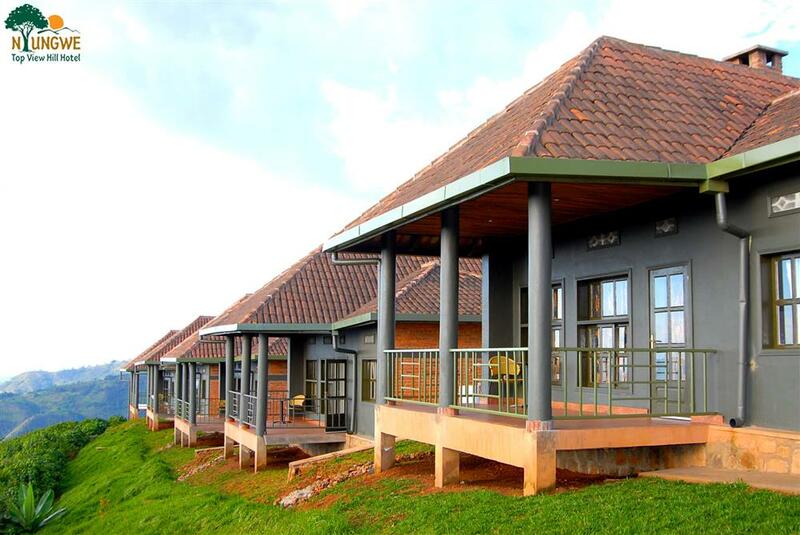 The hotel offers an excellent location for travellers looking for entry level accommodation.